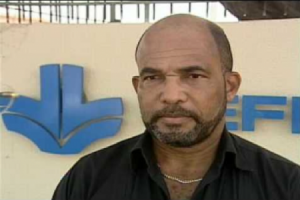 WILLEMSTAD – The ‘informateur’, a former spokesman for the oil refinery, Kenneth Gijsbertha will not meet with the environmental organization SMOC. Governor Lucille George-Wout had asked him not to limit his information rounds to only political parties. The Governor had specifically requested to involve civil society organizations. Gijsbertha did speak with the Council of Churches, the Curaçao Business Association and the Chamber of Commerce. But, according to the ‘informateur’, there is little time to speak to everyone. Gijsbertha added that the environmental organization can always write to him to put forward their positions.